We also provide World Political Maps to enhance the geographical knowledge of students. 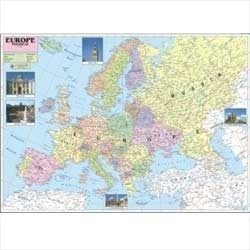 These maps cover boundaries, capital cities and other important information about the countries. 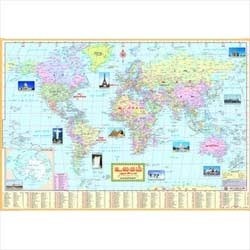 Apart from world political map, our range of political maps includes United States of America, Europe, United Kingdom, Sri Lanka and other major countries. 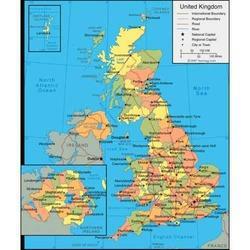 The United Kingdom Political Map we manufacture shows all the different territories that fall under the United Kingdom using various colour codes. The map shows various political features, and all the latest boundaries that have been created. This map is manufactured using high quality litho paper. It is laminated using hot seal polyester film. Fitted with first quality at top and bottom. We manufacture the Sri Lanka Political Map using quality litho paper and laminate it using hot seal polyester film. The map shows the detailed boundaries of all the states in Sri Lanka. The states are differentiated using various colours. The map shows all the important towns and various political features of the country. The map has a high demand in the market. Different states showed using various colours. 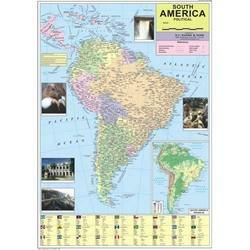 We provide our clients South America Political Map manufactured using high quality litho paper. The map is further laminated using hot seal polyester film. This map shows all the different countries that lie in the continent of South America using various colours. The map marks all the latest boundaries, important towns and various political features of the continent. This quality map is highly demanded in the market. Available in English or Hindi. 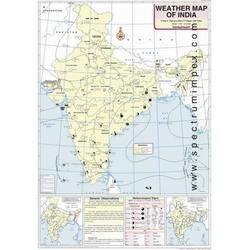 We are the manufacturer of quality Weather Map of India. The map is manufactured using high quality litho paper. The map we are providing is certified by the latest survey of India. The map shows all the states that lie in the country using various colours. All the latest boundaries that have been created are marked in this map. Various important towns and political features are also marked. Highly demanded in the market, we provide this at an affordable price. Available in English, Hindi, Gujarati, Kannada, Malayalam, Tamil, Telugu and Urdu language. The North America Political Map we manufacture shows all the North American countries using various colours. All the important states, towns and political features that lie in the continent are also marked along with the latest boundaries that have been created. 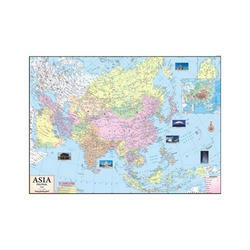 The map is manufactured using quality litho paper and is laminated using hot seal polyester film. Quality paper used to manufacture. 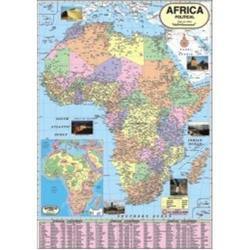 These Africa Political Map are manufactured using high quality litho paper. These are further laminated on both sides using hot seal polyester film. This map shows the countries that lie under the continent of Australia using various colour codes. These maps further show us the important states, towns, cities and various political features of the country. The map marks any latest boundary that has been created. The Asia Political Map we manufacture shows us different countries that lie in the Asian continent. All the important states, cities and towns along with various political features are marked on this map. The map further shows us all the newly created boundaries and is much updated. The manufacturing of this map includes use of quality litho paper and is laminated using hot seal polyester film on both sides. We are one of the leading manufacturers and exporters of World Political Map. This map we provide is produced using high quality raw material which ensures it does not get torn. The map shows all the latest boundaries and important towns. These maps are printed in various colours, to distinguish different countries. Apart from all these we also provide various communication details such as ISD codes etc. Printed in attractive colors on strong offset paper. 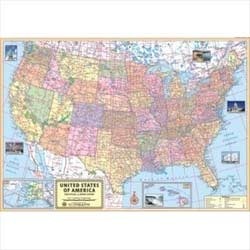 The United States Of America Political Map we manufacture lists all the state boundaries and various political features. The map using various colours marks all the capital cities and important towns. 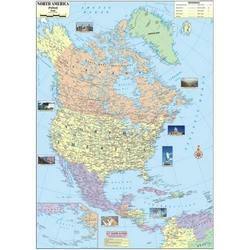 The map is printed on high quality litho paper and is laminated with hot seal polyester film. Highly demanded in the market we provide it at a very reasonable price. We are one of the leading manufacturers of Europe Political Map. The map is produced using high quality litho paper and is laminated on both sides. The map shows all the countries in the continent of Europe using various colours. Further it shows all the political features and the new boundaries as well. This map is highly demanded in the market because of its quality and price. Looking for World Political Maps ?